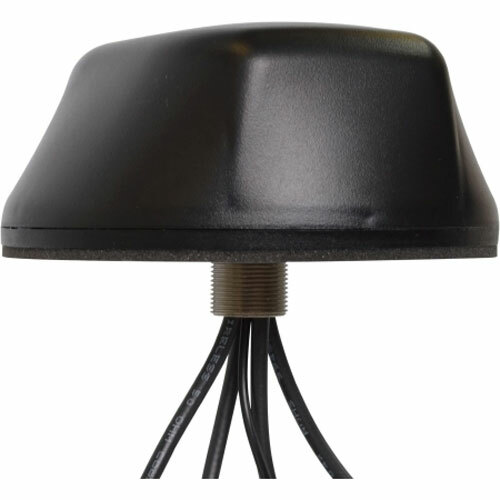 Mobile Mark’s LTM502 Series antenna contains five separate antennas, all in one compact antenna housing: two broadband LTE/Cellular antennas, two dual-band WiFi antennas, and one GPS antenna. The LTM502 differs from the LTM501 in that the broadband LET/Cellular element covers all LTE frequencies worldwide, from 694-3700 MHz. Both WiFi and LTE MIMO (multiple-input-multiple-output) modems offer greater speed and capacity than earlier generations of modems. To ensure optimum performance, the systems need multiple antennas on both the transmission and receive ends. With 5-elements, the new LTM502 antenna is ideal for fleet management systems that combine GPS with both any Global LTE MIMO modem as well as WiFi MIMO modem.